All British Casino has been an obvious destination for online casino players located in the United Kingdom. They do allow players from other countries to become members and enjoy a prime quality casino experience. All British Casino was launched in 2013 and belong to the very successful L&L Europe Ltd group of casino brands which are all known for delivering a first class online gambling product. All British Casino offer an interesting inventory of casino games. The portfolio of games are provided by NetEnt, Amatic, Microgaming, NextGen Gaming, WMS, Thunderkick, Bally, Barcrest, Big Time Gaming and Evolution Gaming which most casino players recognize as the three leading producers of online video slots and other types of casino games including video poker, table and card games, bingo and instant win games. All British Casino also offer a great collection of live casino games. If you wish to get a chance to win a life-changing win, All British Casino house an impressive collection of online jackpot slots that hold a total jackpot value of multi-million value at any given moment. In fact, you will be able to play the two world record jackpot slots at All British Casino; Mega Fortune, from the NetEnt catalogue, and Mega Moolah which is actually the current record holder of having paid out the highest online casino jackpot. This occurred in 2015 when a British player won £13.2 million. Other high-value jackpot slots at All British Casino are Hall of Gods, Arabian Nights, Major Millions and Divine Fortune. The casino games at All British Casino is supported on all devices including desktops, mobile and tablets. The website is of classic design where everything is easily located which includes a great game lobby where you can use a search function to locate your favourite games as well as several different filters. The customer support service at All British Casino is available 24 hours a day, seven days a week. You can contact them by e-mail, phone (+44 (0)20 3695 2907) or live chat which is located all over the website, even during game play. All British Casino is owned and operated by L&L Europe Ltd. They are fully licensed by the UK Gambling Commission and the Malta Gaming Authority. All British Casino apply the highest standard of player safety and fairness. Exclusive New Player Offer: Get 15 Bonus Spins in Gonzo’s Quest – No Deposit Required! – Winnings from Free Spins are granted as a bonus. The bonus must be wagered 35x before players can withdraw winnings or transfer money to the live casino. – The bonus (winnings) won from Free Spins is valid for 48 hours to allow the wagering requirements to be met. – Registered players who have never deposited before activating Free Spins and want to withdraw winnings gained by these Free Spins need to withdrawal a minimum amount of £40. – Registered players who have never deposited before activating Free Spins and want to withdraw winnings gained by these Free Spins are able to withdrawal a maximum amount of £100. Any balance exceeding this amount will be removed from the account. Click here and join All British Casino and collect your 15 Bonus Spins – No Deposit Needed! Get 100% up to £100 on your first deposit + 10% Monthly Cashback! Once you decide to do some real-money play at All British Casino, you will be able to claim a first deposit bonus of 100% up to £100. In addition to this, you will also be included in the 10% monthly cashback on losses. The cashback will be paid out after the month has closed. 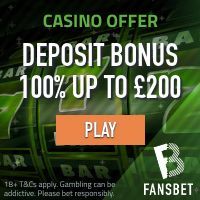 The minimum deposit for this welcome bonus is £20. This bonus is subject to a x35 wagering requirement before you can withdraw your winnings. Please note that this bonus is only available for players residing in the United Kingdom. Read the bonus terms and conditions! All British Casino offer their members a lot of promotions on a regular basis. This means that you will receive nice bonus offers on a regular basis. These promotions include complimentary spin bonuses on newly released video slots, attractive deposit bonuses and wager races among other things. One way to keep up with the ongoing promotions is to keep an eye on All British Casino’s page called News and Promotions. Some of the most popular bonus promotions at All British Casino is the Winning Wednesday where players that made a deposit the last 30 days will receive complimentary spins when they login on Wednesday and the Friday and Saturday Reload Bonus which gives the player a bonus (the deposit match percentage may vary) on their first deposit on Fridays and Saturdays. The Surprise Spins Sunday is the place to be for players that have made a deposit during the last 7 days will receive Complimentary spins on different slots. Funding and withdrawals at All British Casino is safe and secured. All stored data and transactions are protected by the most sophisticated encryption technology available. All British Casino accepts all major payment methods including Visa, Mastercard (credit and debit cards), Moneybookers Skrilll, Neteller, Paysafecard, Boku and several instant/direct bank transfer options. All British Casino offer a fantastic collection of more than 450 top-quality online casino games produced by NetEnt, Amatic and Microgaming. Both providers are responsible for having produced the most popular online video slots in the online casino industry. Some of the most popular online video slots at All British Casino are Jurassic World, Butterfly Staxx, Starburst, Aloha: Cluster Pays, Forbidden Throne, Pyramid: Quest for Immortality, Piggy Riches and Mega Fortune.